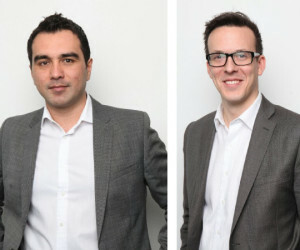 Back in June of this year two former HTC execs Former head of sales at HTC Michael Coombes, and former U.K. marketing director James Atkins formed startup company Kazam. Now they have released two models Thunder and Trooper. Lets take a quick look at the Trooper lineup. The Trooper come with five models, starting with the X3.5 going up in increments of .5, so you have X4.0, X4.5, X5.0 and finally X5.5. The model number relates to the screen size. Trooper X3.5 and X4.0 both come with 1.0GHz Dual Core processor. 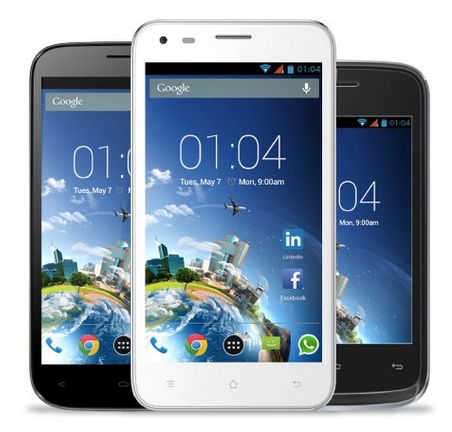 4GB internal + 512MB RAM + upto 32GB expandable memory with Micro SD. Next up are the X4.5, X5.0 and X5.5 all come with 1.2GHz Dual Core processor. 4GB internal + 512MB RAM + upto 32GB expandable memory with Micro SD. X3.5 – Rear Camera – 3.2.0MP Autofocus, Front Camera – VGA, Video 30 FPS 720P. X4.0 – Rear Camera – 5.0MP Autofocus, Front Camera – VGA, Video 30 FPS 720P. X4.5 – Rear Camera – 5.0MP Autofocus, Front Camera – VGA, Video 30 FPS 720P. X5.0 – Rear Camera – 5.0MP Autofocus, Front Camera – VGA, Video 30 FPS 720P. X5.5 – Rear Camera – 5.0MP Autofocus, Front Camera – VGA, Video 30 FPS 720P. As with the Trooper models the Thunder carries on with similar specs. Q4..5 – Rear Camera – 8.0MP Autofocus, Front Camera – 2.0MP, Video 30 FPS 720P. Our smartphones help themselves – With KAZAM rescue we can access your device remotely to help fix any setup issues, with your permission of course! All our smartphones have Dual SIM – It means you can have two numbers in one phone. Why not combine work and personal phones, or add a local SIM when you travel?